A fantastic way for educators, students, or companies to get attention to ideas or product is to contribute a post to a popular blog in your area of interest. However if you do, make sure you do your homework by keeping these tips in mind. Don't just make a request out of nowhere. Be a participant in the blog's communIty. Add valuable and interesting comments to posts that interest you. The blog author should already be familiar with who you are because you are an active contributor who has smart ideas to share. If your ideas are strong enough, you won't even have to ask to submit a guest post. The blog author may reach out to you. Where is the blog author interacting beyond their blog? Find out and contribute in those communities whether that be a Facebook group or page, Google Community, Twitter, Instagram, etc. This will help you develop a relationship and rapport with the blog author and reading community. 3) Why your unique perspective might be of interest to readers. Don't ask the blog author what the requirements are. Read the blog and become familiar with the requirements. Let the blog author know you are familiar with the requirements, list them, and ask if there is anything else they would like. Are you promoting a product or business? If so, plan to have a budget for the guest post. Popular blogs aren't just waiting for people to offer content. 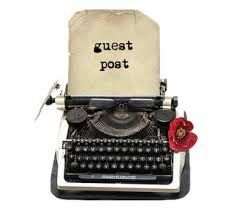 They have it and when they consider guest posts, it takes a considerable investment in time. 1) Reading and editing your post. 2) Giving you feedback to make your post as attractive as possible for the blog's audience. 4) Interacting with those who comment in social media or on the post. Additionally, you are receiving the overnight benefit of an engaged, targeted audience that took years to develop. Popular blogs get dozens of requests for guest posts each month. You can make your request stand out by following these tips that show you've done your homework.